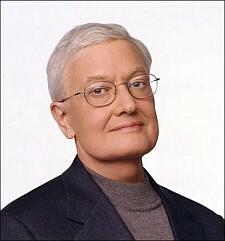 I loved Roger Ebert. Not just his writings, but everything he did as a journalist and movie lover. I read his reviews, his books, his twitter stream and his newsletter. If I watched a film and loved it, i would then immediately read Ebert’s review to see if he loved it too. He had a great way of thinking about a film and describing why it worked and why it didn’t that went beyond his “thumbs up” rating. Each review was more essay than review and that gave us a glimpse into the mind of Ebert as much as it did the quality of the film. What I miss though, is the wonder. People my age can remember walking into a movie palace where the ceiling was far overhead, and balconies and mezzanines reached away into the shadows. We remember the sound of a thousand people laughing at once. And screens the size of billboards, so every seat in the house was a good seat. “I lost it at the movies,” Pauline Kael said, and we all knew just what she meant. When you go to the movies every day, it sometimes seems as if the movies are more mediocre than ever, more craven and cowardly, more skillfully manufactured to pander to the lowest tastes instead of educating them. Then you see something absolutely miraculous, and on your way out you look distracted, as if you had just experienced some kind of a vision. That is what we all love about movies. I know that feeling of walking out of a theater after just having my socks knocked off. That happened to me in a New Hampshire theater for “Saving Private Ryan” or as a teenager with “Pulp Fiction.” That feeling of being blown away is just incredible and what sustained Ebert. His passing left a big hole in the film world for me. There are great critics like AO Scott, but I don’t know anyone else who can make me see a film differently or appreciate a film the way Ebert did. He will be greatly missed. Finally, I ask you, my readers, do you know of anyone who I should turn to now? So, I don’t have comparable film critic, but I *do* have the same experience with a handful of TV recappers. Wait, wait, bare with me. As you know, if i had to choose between film and TV, I would absolutely choose TV — I just love that medium. And I devour recaps of my favorite shows in the same way that you do Ebert’s reviews.